You have two options in choosing which credentials the program will use. 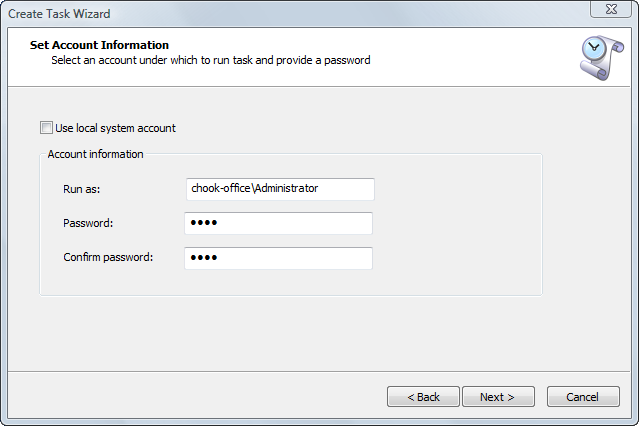 You may provide a user name of the account by which the task will be executed or you can select a local system account. If you choose a user account you need to provide a password. Please be sure that the account you choose has administrative privileges.